Congrats to ThisIsFrog for the winning entry and 50 duck prize. Thanks to everyone who entered and voted! 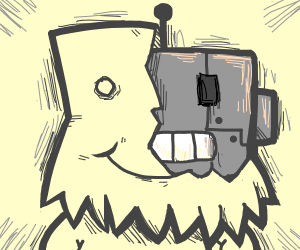 Here are the final results of the Drawception Bot Avatar drawing contest.